HAMBURG, Germany – Razer™, the leading global lifestyle brand for gamers, today announced a new configuration option for the Razer Blade Pro, now with a Full HD display and an NVIDIA® GeForce® GTX 1060 GPU. This new build – at a lower price point than the Razer Blade Pro with a GeForce GTX 1080 – is targeted toward gamers and creative professionals that need a slim, powerful desktop replacement. Equipped with a 7th gen Quad-Core Intel® Core™ i7 processor, the latest Razer Blade Pro is a performance-focused system with stunning 17.3-inch Full HD, 120Hz screen. The 1920 x 1080 matte panel offers users a beautiful display that is ideal for pushing out high framerates, and providing amazing color with wide viewing angles. 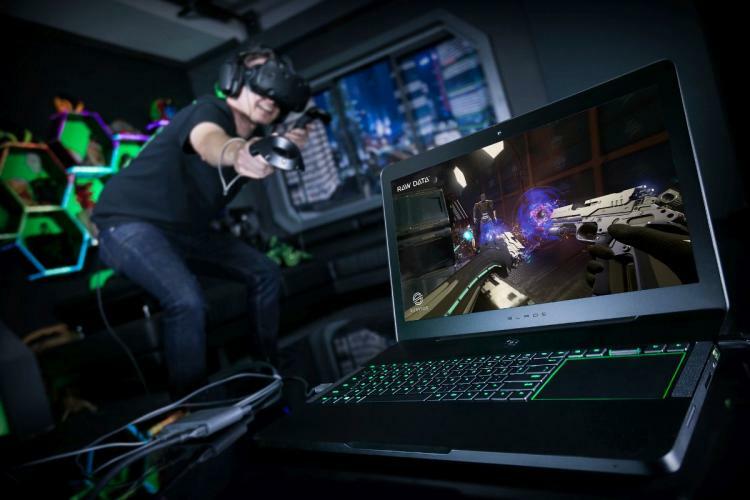 The Razer Blade Pro with GeForce GTX 1060 is also VR-ready. Experience games with next-generation VR performance, the lowest latency, and plug-and-play compatibility with leading headsets—driven by NVIDIA VRWorks™ technologies. Gamers can enjoy breakthrough features such as NVIDIA Shadowplay™ and Ansel™ to capture and share gameplay and in-game shots that can be viewed in 360 degrees. The machine’s slotted 16GB of dual-channel memory can be expanded up to 32GB capacity for powerful video editing and gaming. The hybrid storage configuration of 256GB PCIe SSD plus 2TB HDD delivers both speed and capacity, and can support up to 2TB SSD and up to 4TB HDD upgrades. Other highlights include Thunderbolt™ 3 for advanced connectivity, a built-in SD card reader, and Killer DoubleShot™ Pro network technology. Featuring the full spectrum of 16.8 million colors with vibrant lighting effects, the anti-ghosting individually backlit keys and trackpad on the new Razer Blade Pro offers endless possibilities for customization, powered by Razer Chroma™. Game developers have the opportunity to integrate lighting effects directly into their game, creating more intuitive tutorials, pervasive in-game alerts, or even displaying cooldowns and health bars directly on the Blade Pro keyboard. Built with durable CNC military-grade aluminum, weighing only 6.78 pounds, and measuring just 0.88 inches thin, the Razer Blade Pro with the NVIDIA GeForce GTX 1060 packs in the power, resulting in a machine that is both refined and relentless. Razer also announced another new product that complements the Razer Blade Pro. For mobile warriors, Razer announced a new Rogue backpack that is designed for 17-inch laptops, offering a streamlined and stylish way to take the Razer Blade Pro on-the-go. 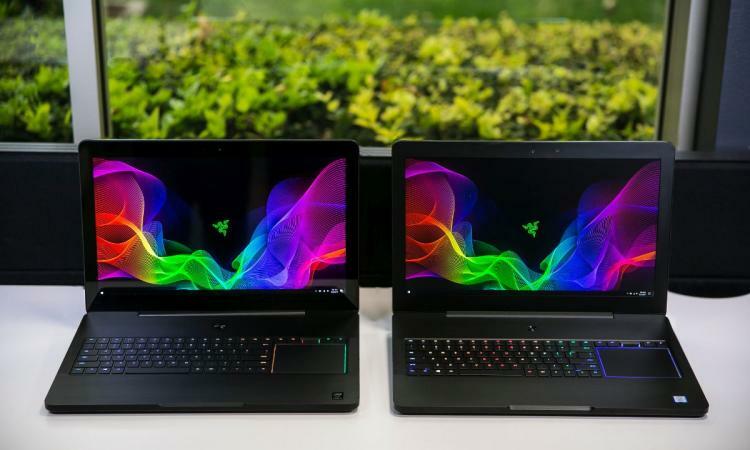 The acclaimed Razer Blade family includes the 13.3-inch Blade Stealth - one of the most awarded laptops from any manufacturer – lauded for its combination of performance, value, expandability and portability; the 14-inch Razer Blade, recognized for its perfect combination of portability and performance; and the existing 17.3-inch Razer Blade Pro with a GeForce GTX 1080, for the ultimate 4K desktop replacement laptop for work or play. The Razer Blade Pro will be available at the following MSRP from Q3 2017 direct from Razerzone.com in the UK, France, U.S. and Canada. Worldwide availability is expected in Q4 2017.